Swing states are under more scrutiny than others, and with Nov. 8 coming up, so many people are paying attention to Nevada's predictions for Election Day. As a state whose residents voted for Republican President George W. Bush and Democrat President Obama twice each, Nevada does not have the firm links to one party over the other that many other states have. At the same time, Nevada's demographics are changing with increases in its population, so the state may well end up following the partisan path of many other former swing states. Hillary Clinton has been polling slightly ahead of her opponent Donald Trump with 46.6 percent to his 43.2 percent as of Oct. 31, according to the Politico Battleground States Polling Average. At the time of writing, FiveThirtyEight also gives Clinton just the slightest of leads against Trump in Nevada. Early voting in Nevada has begun, and as of Oct. 31, Clinton is maintaining a lead over Trump. A million people voted in Nevada in 2012, and so far more than 457,000 votes have been cast in 2016, according to the Washington Post. At the time of writing, Democratic ballots are ahead 44 percent to 36 percent, ABC News reported. This is a slightly bigger lead than Obama had in 2012, when he won the state over Mitt Romney by 6 percentage points, the Washington Post reported. But there are still hundreds of thousands of votes to be cast, so no one should be counting chickens before they hatch. 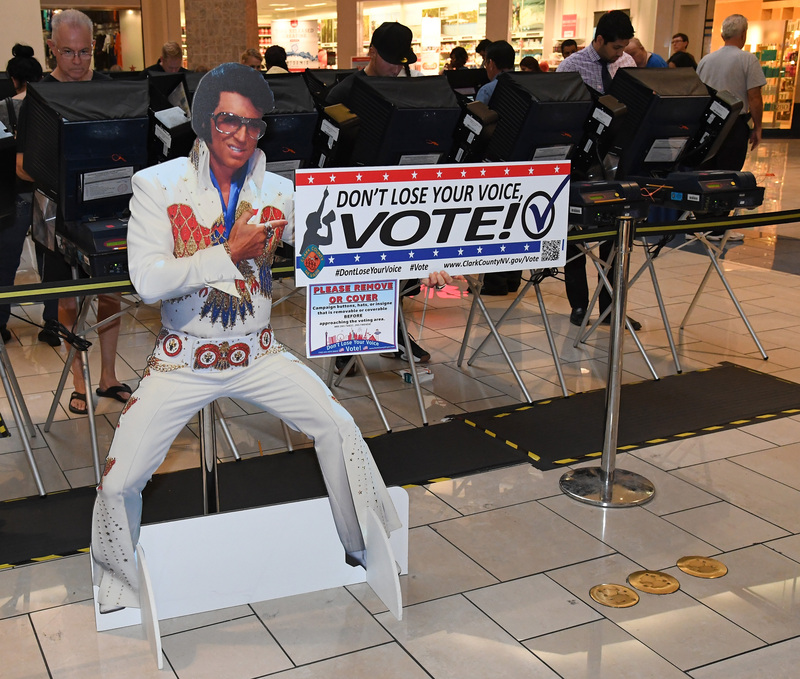 Voting in Nevada has not been without controversy; in four states, including Nevada, the state Democratic party has filed lawsuits against each state in question's Republican party. The lawsuits were filed in response to alleged voter harassment and intimidation, with the Ohio lawsuit claiming that "Trump has made an escalating series of statements, often racially tinged, suggesting that his supporters should go to particular precincts on Election Day and intimidate voters." The Republican party has denied these allegations, and Republican operative Roger Stone told the Washington Post by email that the "lawsuit is without merit," since he said he is not coordinating with the Trump campaign or official GOP organizations. The Nevada Republican Party Chairman Michael McDonald said the Republican Party has "zero tolerance" for voter intimidation, the Washington Post reported. While we won't know for certain which candidate will win Nevada's Electoral College votes until Election Day, it's clear that Clinton has a leg up on Trump in Nevada for now.